I work in this general area. Our department logo at the top right hand corner of this page depicts the Poincaré disc model of the hyperbolic plane together with the fundamental domain for an ideal triangle group and several of its images. 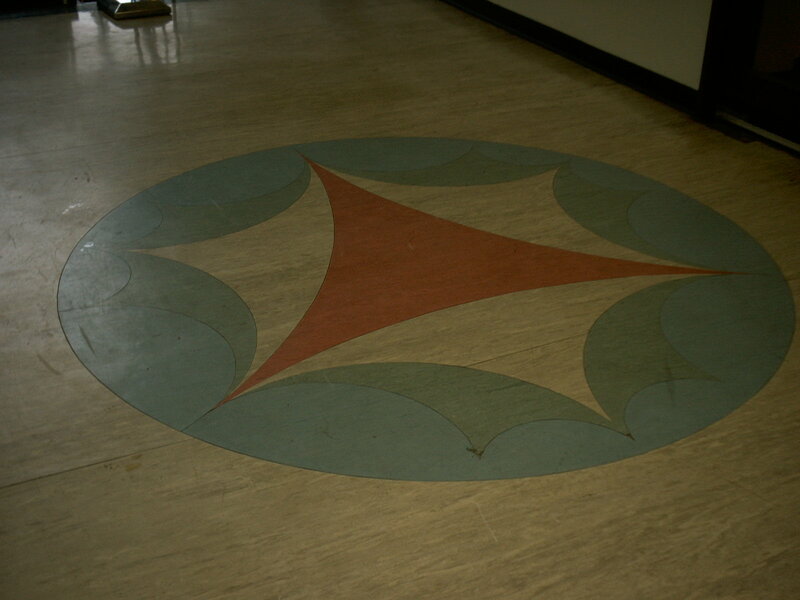 It may be found on the floor of the entrance to the department. 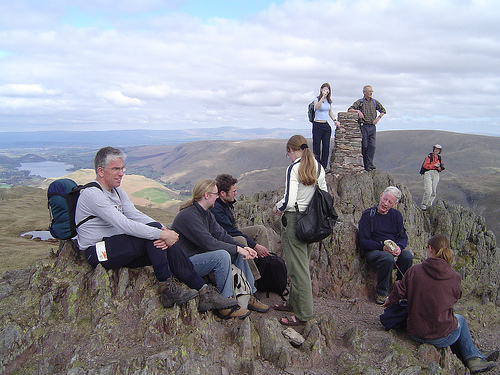 The group is generated by reflection across the sides of the triangle. This group is rigid in the sense that any two such groups are conjugate via a Möbius transformation. On the other hand if we ask an analogous question for complex hyperbolic space there is a one parameter family of inequivalent groups, see the paper (with Bill Goldman) in J. reine angewandte Math in my publications list. Complex hyperbolic geometry Many of the questions that can be asked for discrete groups of (real) hyperbolic isometries can be asked for complex hyperbolic isometries. However the answers can often be surprising and usually involve rather different methods. This means that complex hyperbolic geometry is a rather exciting field to work in. 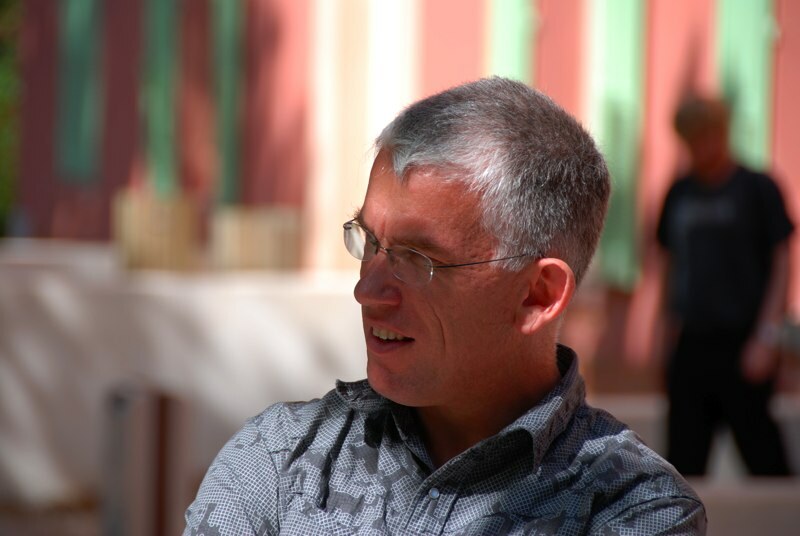 In January 2013 Jean-Marc Schlenker and I took over from Bill Goldman as joint Editors-in-Chief of Geometriae Dedicata. We would welcome the the submission of good papers in the area of geometry and its relationship to topology, group theory and the theory of dynamical systems. 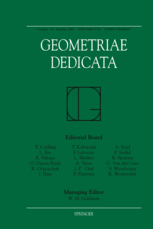 Geometriae Dedicata aims to be a vehicle for excellent publications in geometry and related areas. Note: The papers listed here are not all linked to retrievable files. And those that are are not necessarily the final versions and so they should be treated as "for information only". If you want an offprint, let me know. Conformal Geometry and Dynamics 22 (2018) 315-332. Computational Methods and Function Theory 18 (2018) 159-191. Geometriae Dedicata 192 (2018) 267-294. Proceedings of the International Geometry Center 10 (2017) 1-21. Geometry and Topology 21-6 (2017) 3391-3451. The Asian Journal of Mathematics, 20 (2016) 449-474. Inventiones Mathematicae, 203 (2016) 681-771. Pacific Journal of Mathematics, 280 (2016) 433-453. 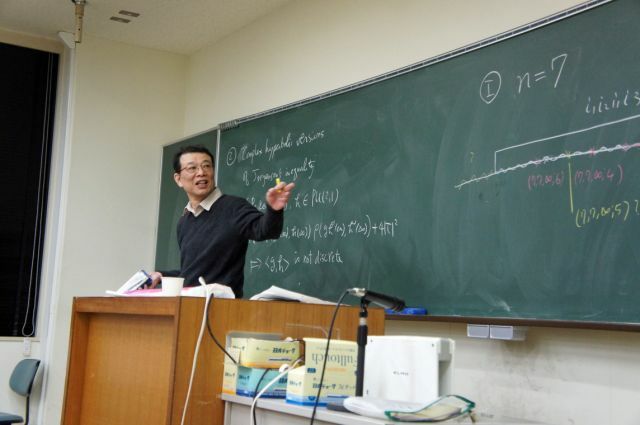 Osaka Journal of Mathematics,52 (2015) 959-991. Contemporary Mathematics 639 (2015) 327-348. Advances in Geometry 15 (2015) 27-53. Linear Algebra and its Applications 438 (2013) 2728-2739. Lecture Notes Series 23, Institute for Mathematical Sciences, National University of Singapore, 191-245. World Scientific Publishing Co, 2012. Canadian Mathematical Bulletin 55 (2012) 329-338. Experimental Mathematics 20 (2011) 467-486. Quarterly Journal of Mathematics 62 (2011) 523-543. Proceedings of the American Mathematical Society 139 (2011) 2439-2447. Mathematische Annalen 349 (2011) 459-508. Conformal Geometry and Dynamics 14 (2010) 202-218. London Mathematical Society Lecture Notes 368 (2010) 309-355. Canadian Mathematical Bulletin 52 (2009) 285-294. Pacific Journal of Mathematics 239 (2009) 357-389. Computational Methods and Function Theory 9 (2009) 13-25. Pacific Journal of Mathematics 238 (2008) 145-169. Mathematical Proceedings of the Cambridge Philosophical Society. 144 (2008) 443-455. Jyväskylä Lectures in Mathematics 2, 2008. Progress in Mathematics 265 Birkhäuser, (2007) 95-109. Advances in Geometry 7 (2007) 19-38. Acta Mathematica 196 (2006) 1-64. Journal of Differential Geometry 73 (2006) 319-350. Duke Mathematical Jornal 131 (2006) 249-289. Proceedings of the 10th Panhellenic Conference on Mathematical Analysis, Athens (2004), 199--205. Boletin de la Sociedad Matematica Mexicana 10 (3) (2004) 357--381. Mathematical Proceedings of the Cambridge Philosophical Society 137 (2004) 349-361. 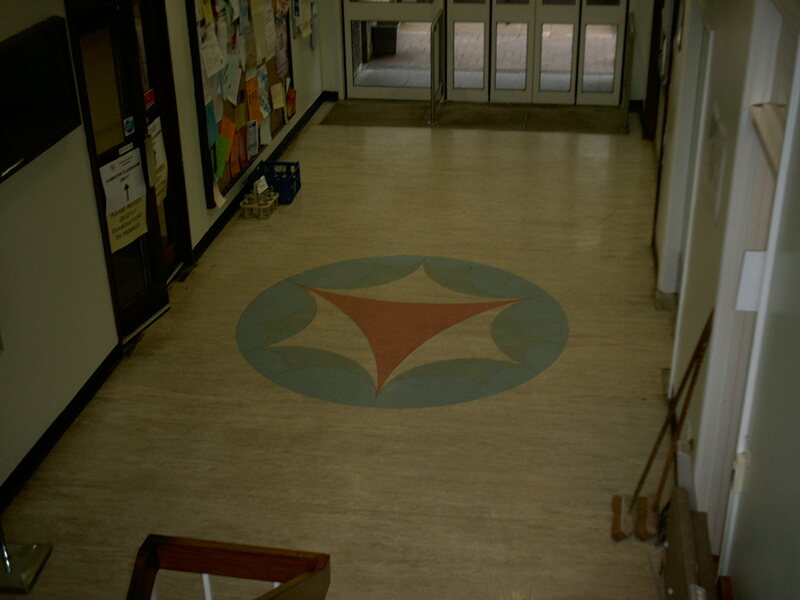 Canadian Mathematical Bulletin 47 (2004) 439-444. Mathematical Proceedings of the Cambridge Philosophical Society 135 (2003) 291-320. Research and Exposition in Mathematics 27 (2003) 141-154. London Math. Soc. Lec. Notes 299 (2003) 275-291. Revue Roumaine Math. Pures et Appl. 47 (5-6) (2002) 687-693. RIMS Kokyuroku 1270 (2002) 138-144. RIMS Kokyuroku 1270 (2002) 145-152. Kodai Mathematical Journal 24 (2001) 169-206. 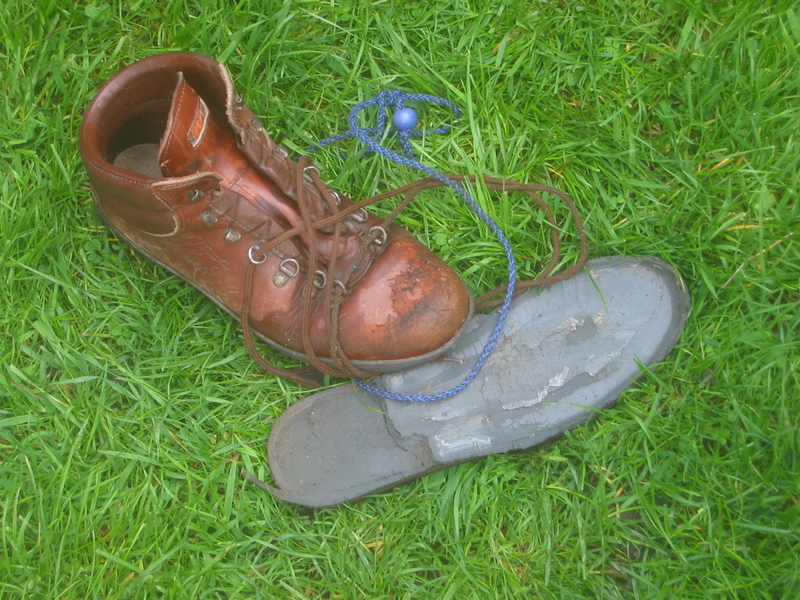 Topology 39 (1) (2000) 33-60. Israel J. of Maths. 112 (1999) 29-60. Geometry and Topology Monographs 1 (1998), The Epstein Birthday Schrift, 451-478. Duke Math. J. 94 (1998) 433-464. Math. Zeit. 225 (1997) 485-505. Journal d'Analyse Mathématique 67 (1995) 165-198. Geometriae Dedicata 57 (1995) 223-234. Experimental Mathematics, 3 (1994) 153-170. Mathematical Proceedings of the Cambridge Philosophical Society 115 (1994) 501-512.
International J. Math. 3 (1992) 291-308. J. of Geometric Analysis, 2 (1992) 517-554. J. reine angewandte Math., 425 (1992) 71-86. Michigan Math. J., 39 (1992) 309-323. Ph.D. thesis, University of Cambridge (1989). Review of Spherical CR Geometry and Dehn Surgery by Richard Schwartz, Annals of Maths Studies 165 (2007). Bulletin of the American Mathematical Society 46 (2009) 369-376.
Review of The Arithmetic of Hyperbolic 3-Manifolds by Colin Maclachlan and Alan W Reid. Springer 2003. 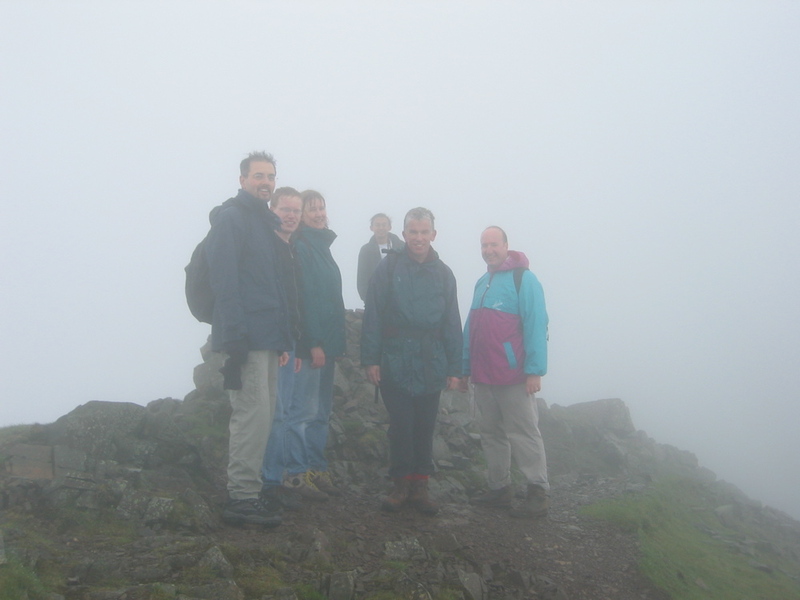 Proceedings of the Edinburgh Mathematical Society 48 (2005) 511-512.
Review of Complex Hyperbolic Geometry by William M. Goldman, Oxford University Press 1999. Proceedings of the Edinburgh Mathematical Society 43 (2000) 443-445. A shorter version of this review is published in Featured Reviews, issue 2000g in Mathematical Reviews. 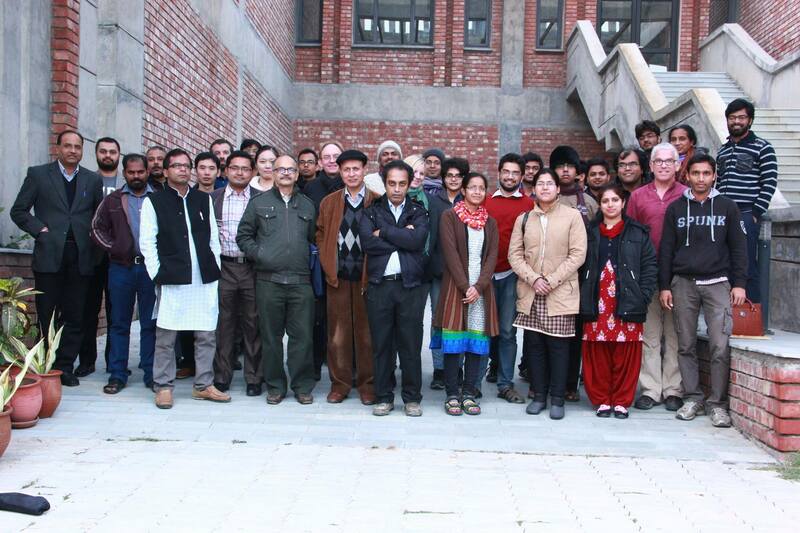 Department of Mathematical Sciences home page. Web of Science citations index. My participation funded by a UK Mexico Visiting Chair. In honour of Bill Goldman's 60th birthday. 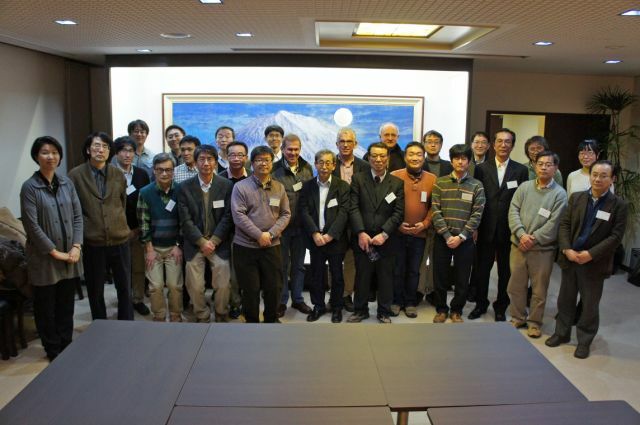 The participants of the 2015 conference in Okayama to honour Shigeyasu Kamiya on his retirement. 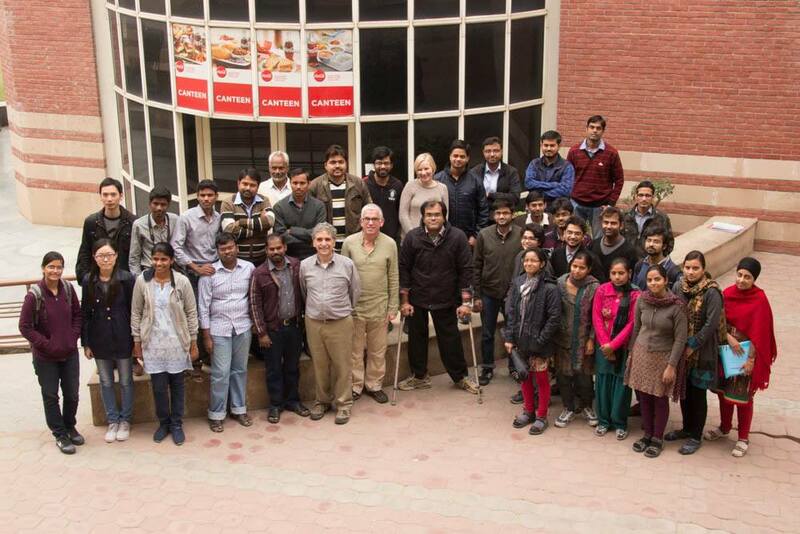 The 2014 IISER Mohali conference Lattices: Geometry and Dynamics and me giving a lecture. 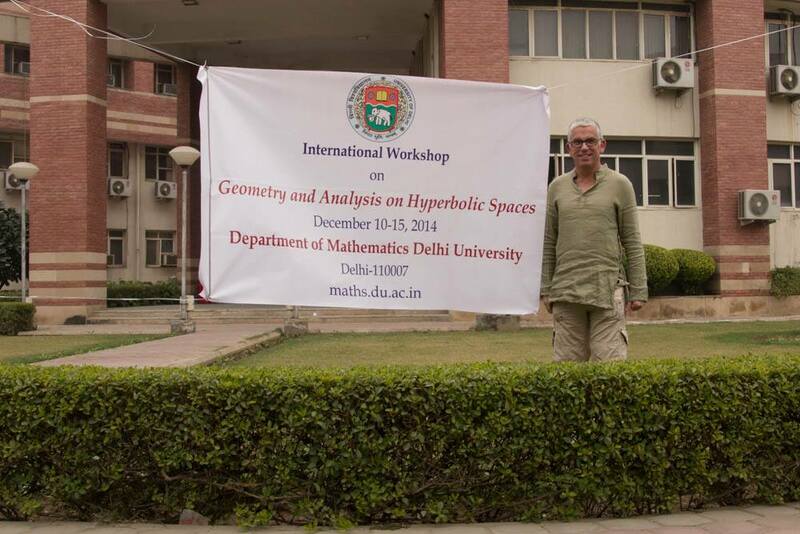 The 2014 Delhi University conference Geometry, Arithmetic and Analysis on Hyperbolic Spaces and me with the conference banner. 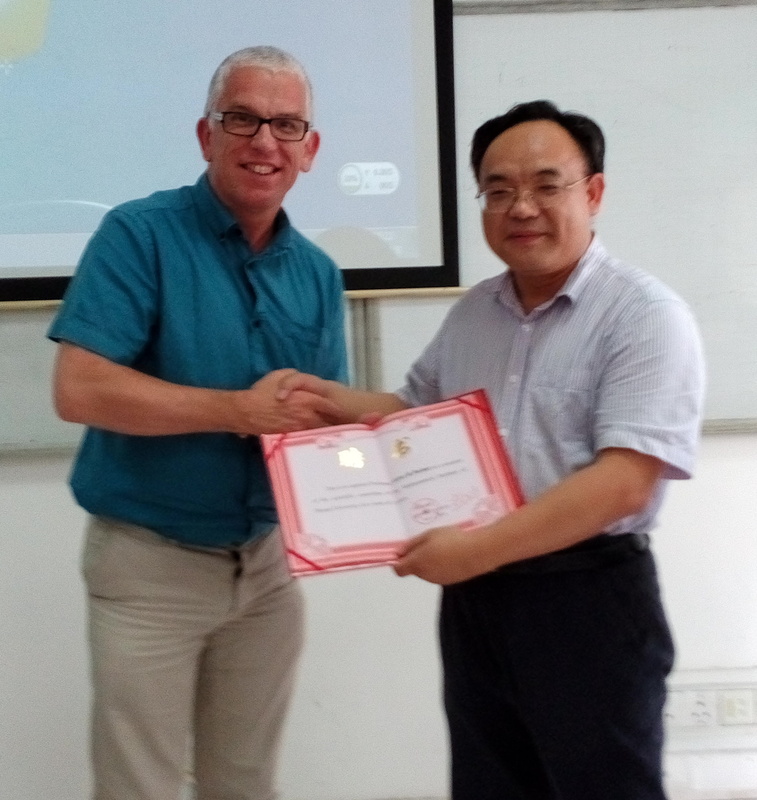 Being appointed to Scientific Committee of Hunan University Institute of Mathematics by Yueping Jiang, July 2014. 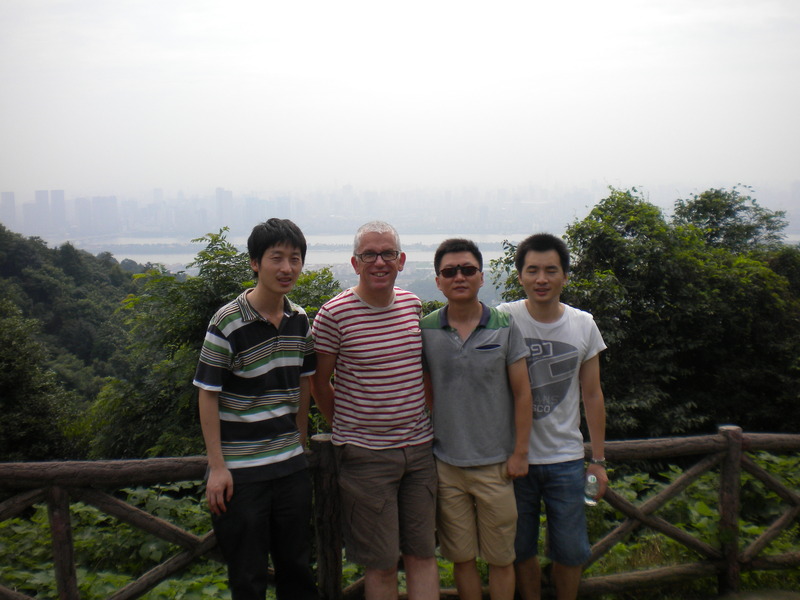 With Baohua Xie, Tiehong Zhao and Jieyan Wang on the Yuelu mountain. July 2014. 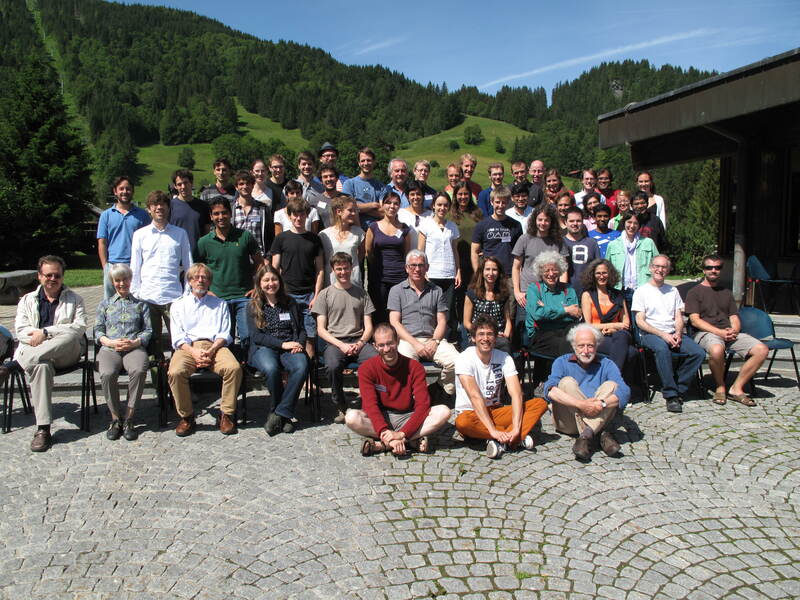 The Borel Seminar 2014: Discrete Group actions in Geometry and Topology. 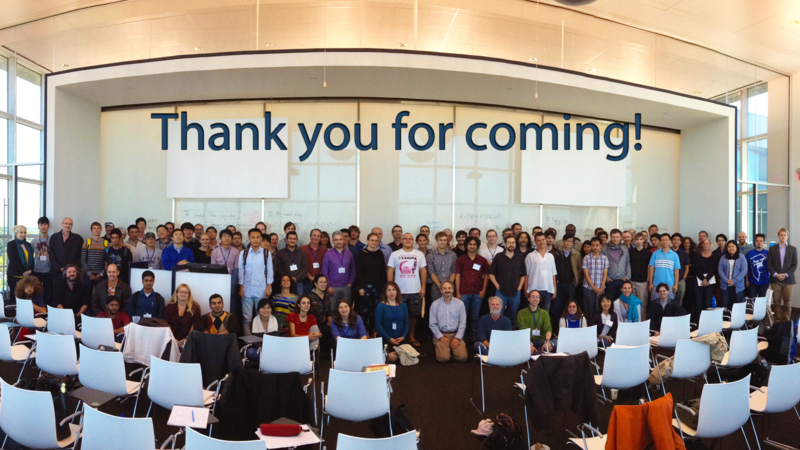 The 2013 ICERM, Brown University workshop Exotic Geometric Structures. 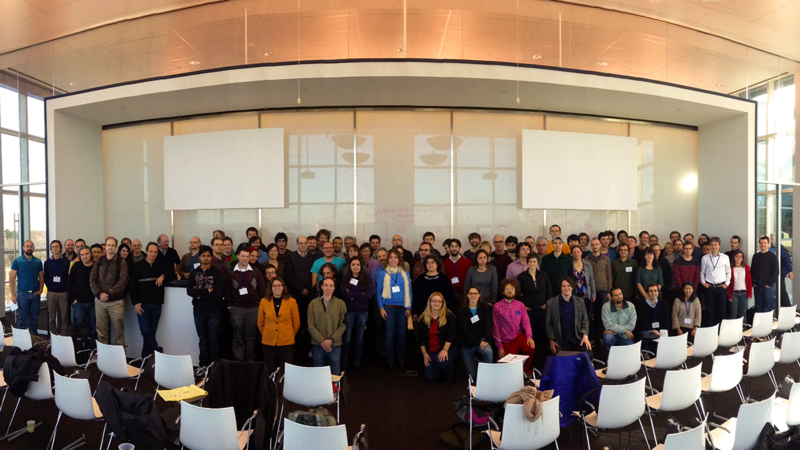 The 2013 ICERM, Brown University workshop Geometric Structures in Topology and Dynamics. 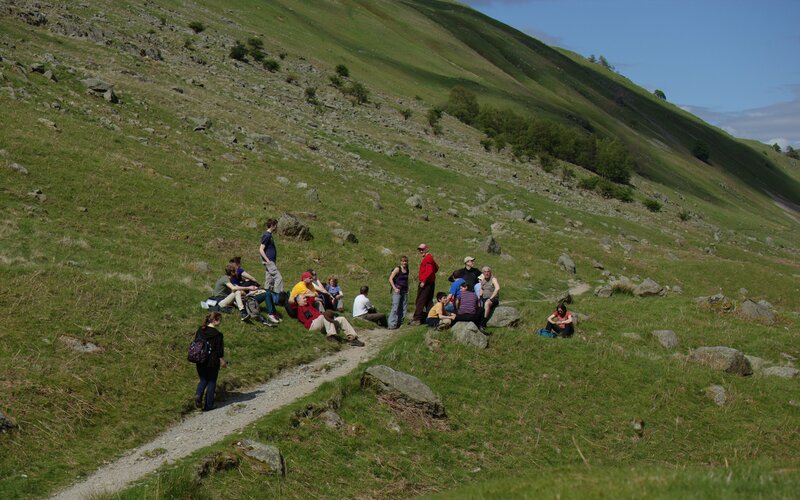 Department lake district walk 2013 enjoying the sunshine. 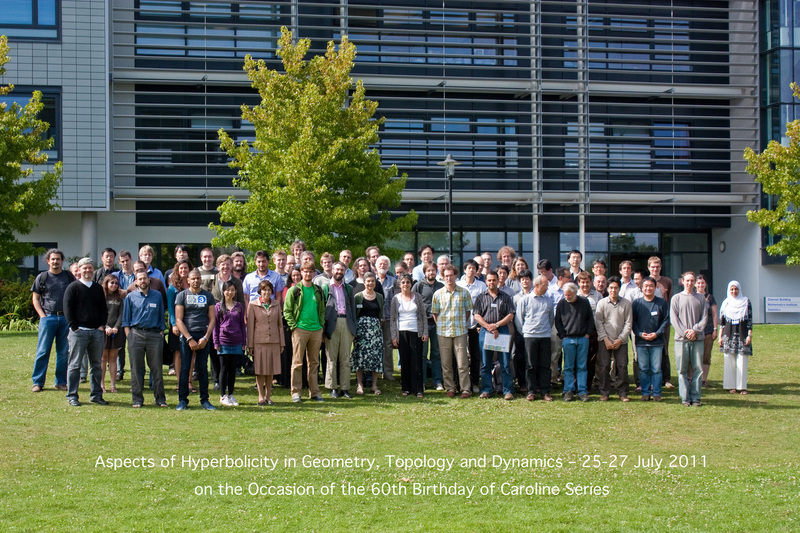 The 2011 Warwick conference for Caroline Series' birthday. 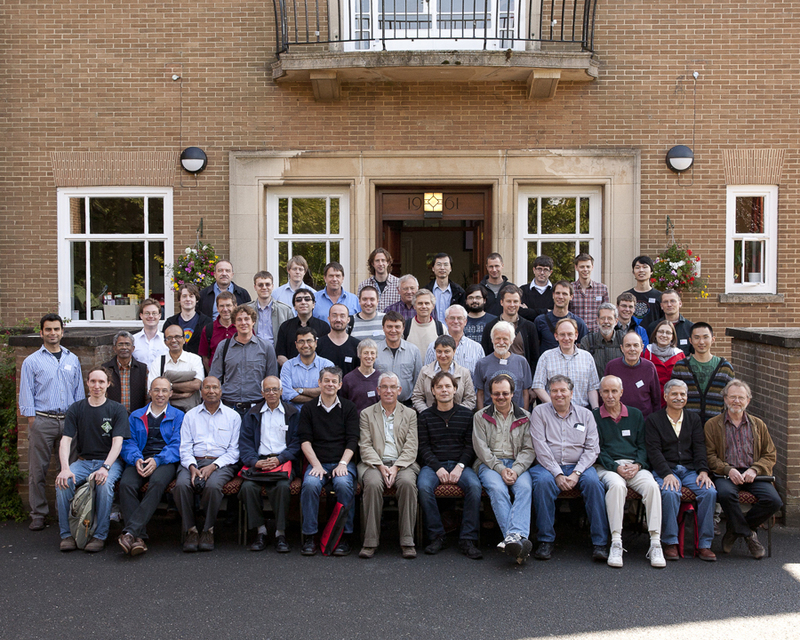 The 2011 Durham symposium Geometry and Arithmetic of Lattices and the key to the picture. 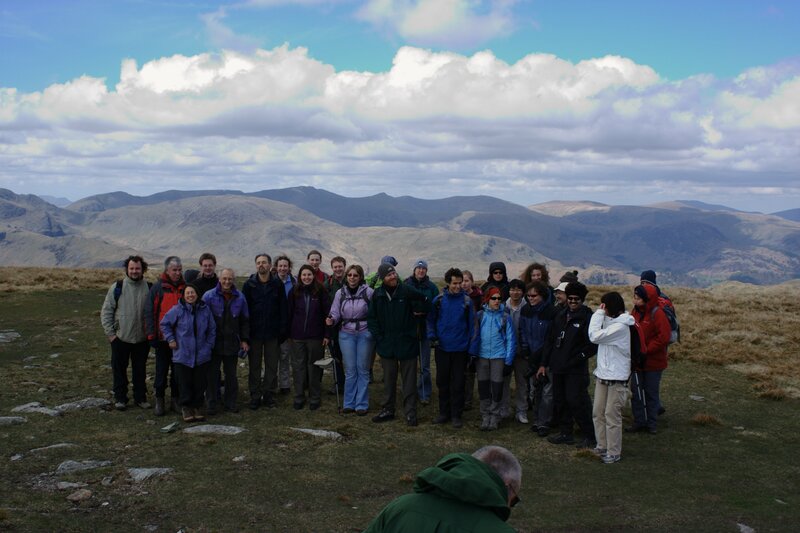 Department lake district walk 2010 Group photo, In the great outdoors. 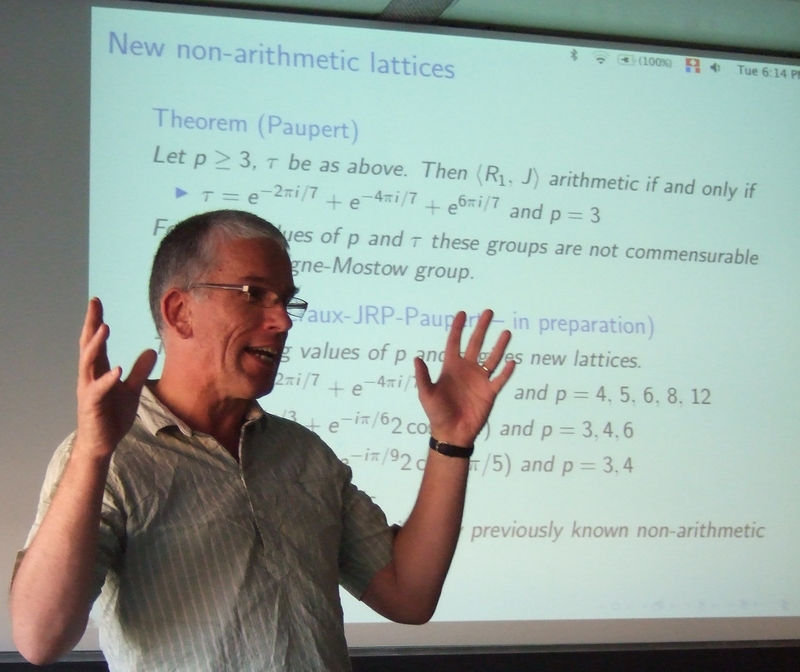 Giving a seminar in Fribourg 2010. 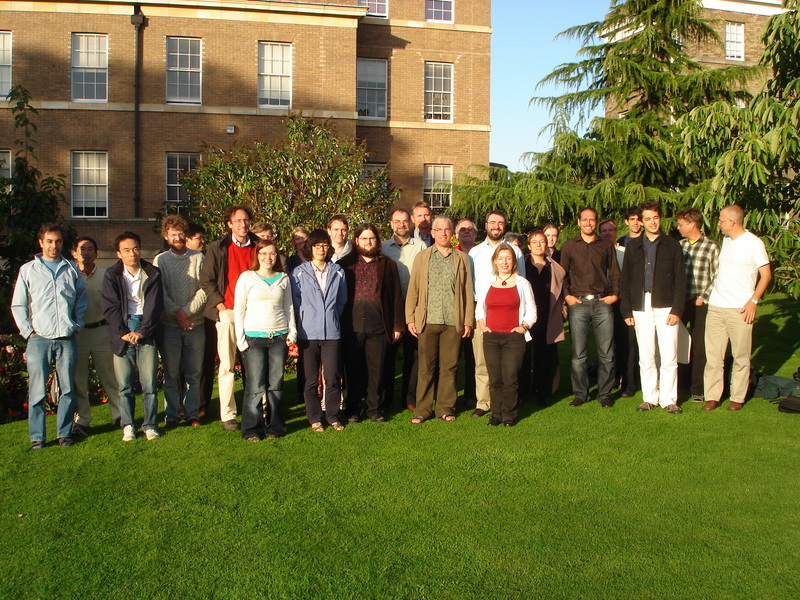 The 2009 Leicester workshop Aperiodic Order. 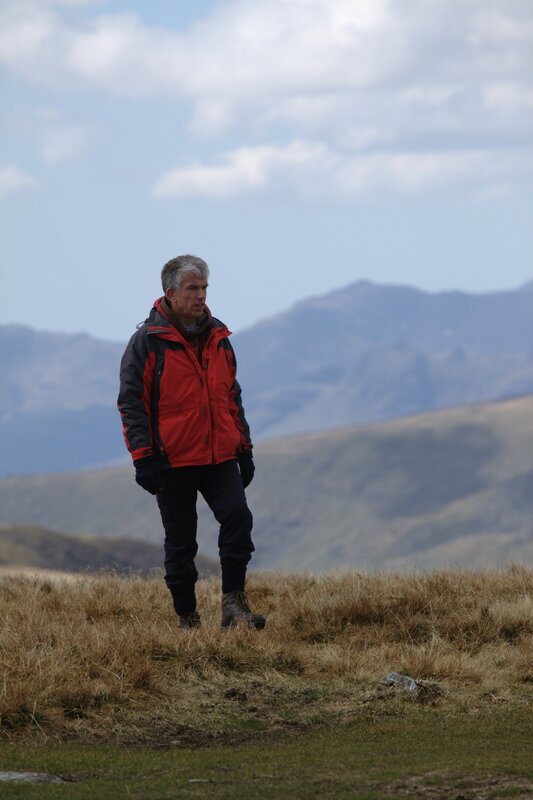 Department lake district walk 2009 `it's over there'. The 2008 Luminy workshop Représentation des groupes de surfaces. Department lake district walk 2007 lunch. 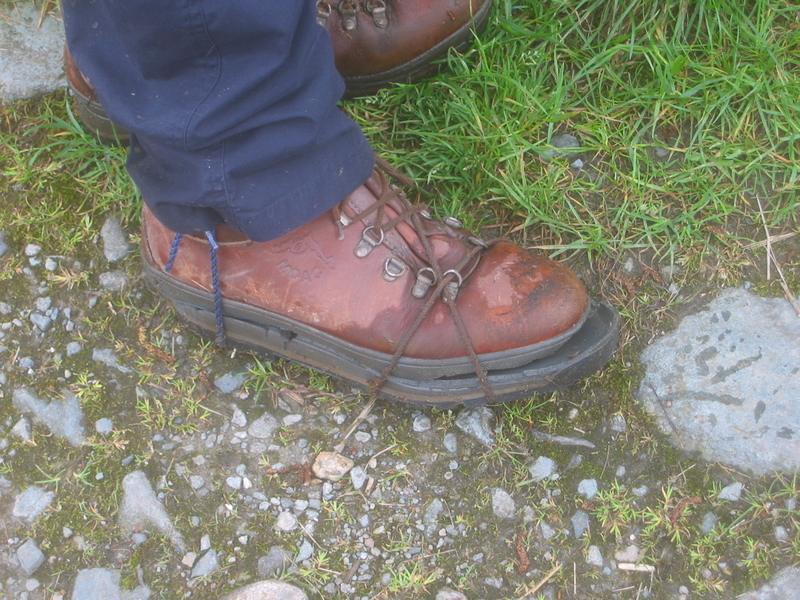 Department lake district walk 2006 in the mist, then the sole of my boot came off and needed tying back on. 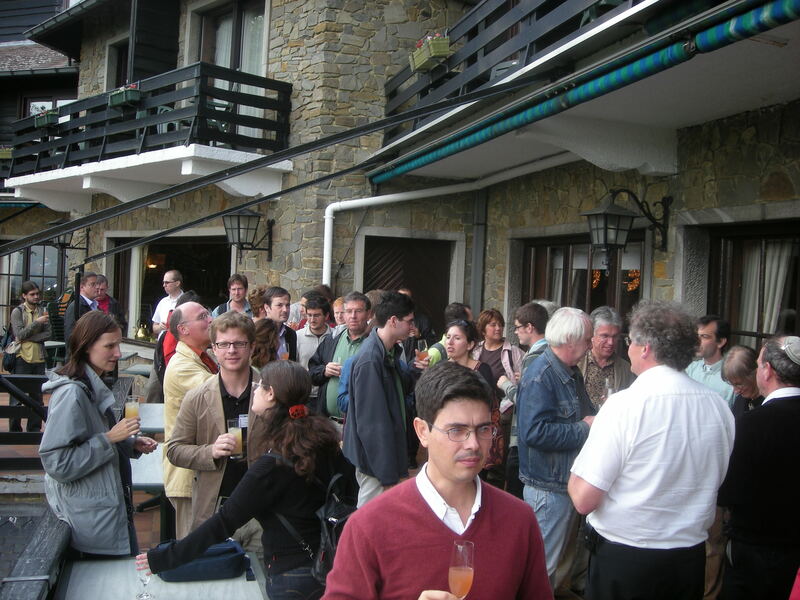 The 2006 ICMS workshop 3-Manifolds after Perelman. Department Lake District Walk 2005 View towards Buttermere, View towards Great Gable. 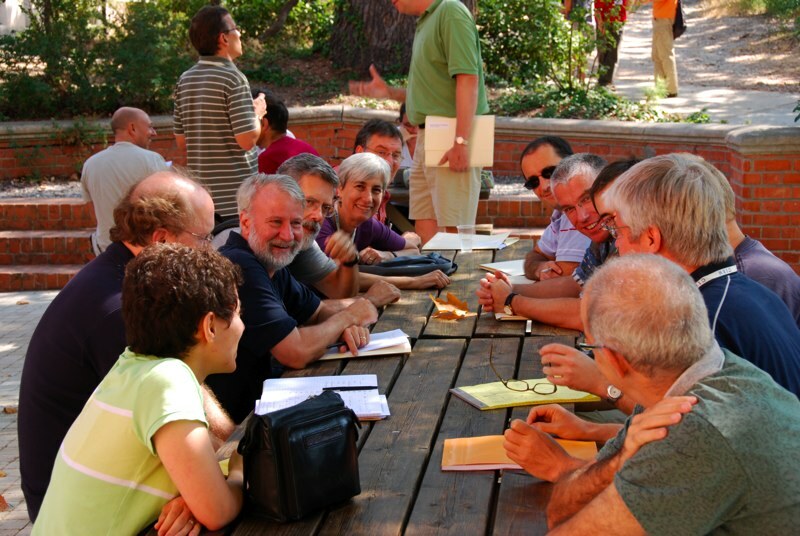 The 2003 Newton Institute workshop Spaces of Kleinian Groups and Hyperbolic 3-Manifolds . 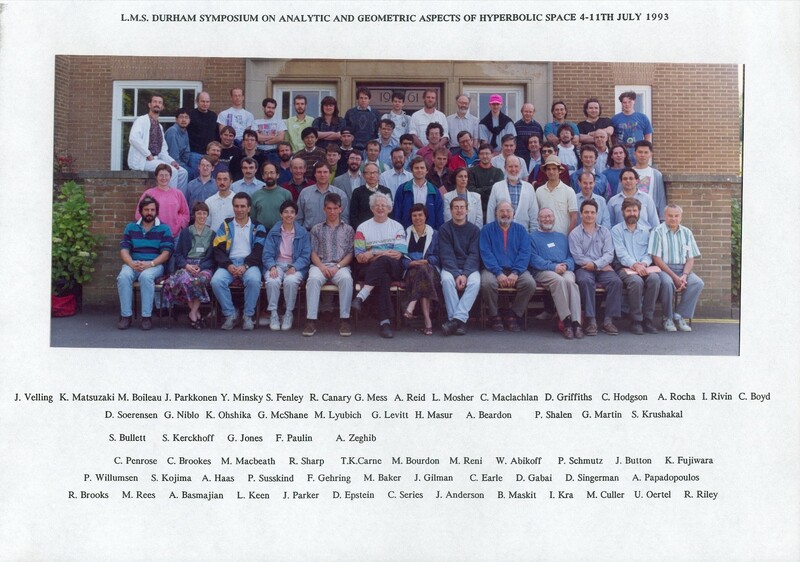 The 2001 conference in Fribourg Aspects of Hyperbolic Geometry. Talking with Jouni Parkkonen (and a statue). 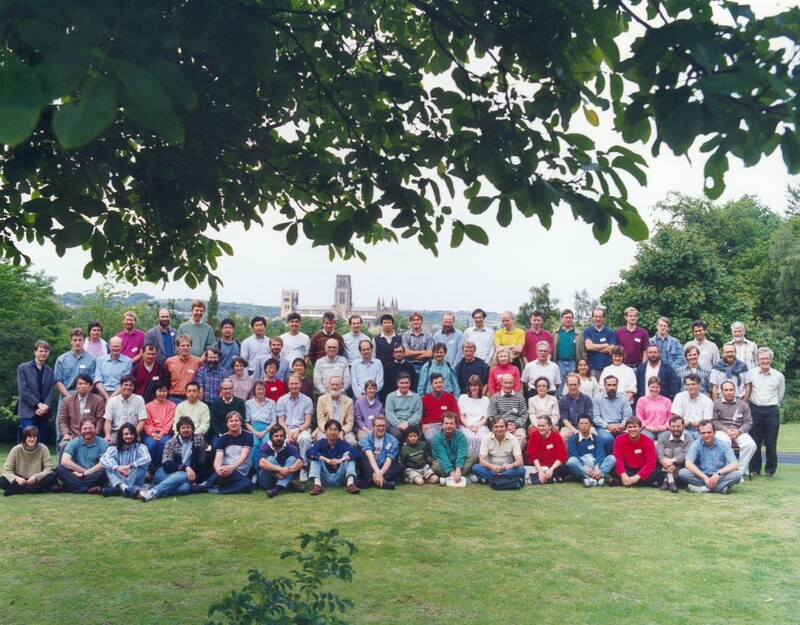 The 1993 Durham symposium Analytic and Geometric Aspects of Hyperbolic Space. 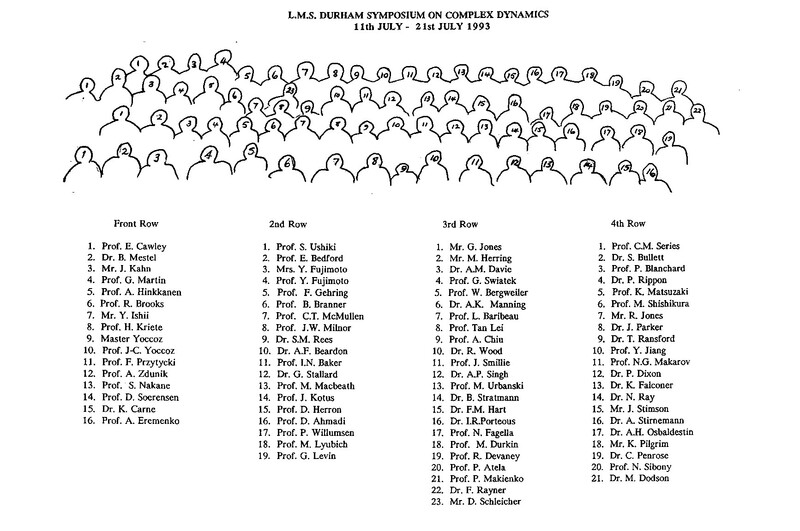 The 1993 Durham symposium Complex Dynamics and a key to the picture.